The file Night Lords v.0.7.29 is a modification for Warhammer 40,000: Dawn of War - Soulstorm, a(n) strategy game. Download for free. 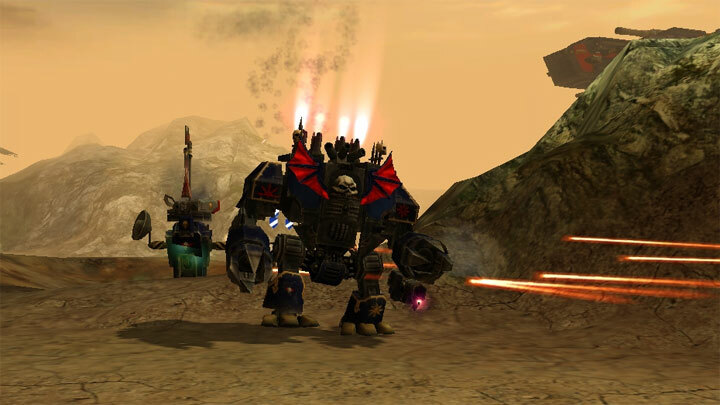 Night Lords is a mod for Warhammer 40,000: Dawn of War - Soulstorm, created by Team Thudmeizer. This mod appeared one day on the Team Thudmeiser developer forums, I believe mostly the work of Torzel with models from WarSmith and so knowing nothing about the Night Lords, I had to have a look. Night Lords are fascinating, but also an example of where Games Workshop makes cool lore that leads to lackluster TT adaption, their one great power being that if you for some reason set a match at night then your men can see better - woo! This mod add a new race to skirmish and multiplayer and emphasizes stealth and ambush through use of cover modifiers, the likes of which DoW3 will likely never see, alas! Just extract into game’s main folder. This mod requires you to own other modifictations: Objective Points, FreeUI and Unification Mod.